Walter Hardwick has been a man of vision, leadership and commitment for over 30 years, expressed in many ways through his involvement in public life at the civic, regional, provincial, national and international level. His longest service to the Province has been through his teaching and scholarship. Based in the Department of Geography at UBC, he has for over 30 years been an inspiring teacher. In 1975, he was appointed Director of Continuing Education at UBC, a post he relinquished in 1976 to serve as Deputy Minister of Education, Science and Technology until 1980. 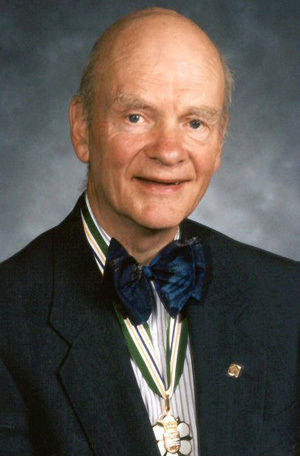 During his long and varied career, he has significantly shaped the City and metropolitan region of Vancouver, and has had a major impact on the provincial post-secondary education system.